More than 50% of Baby Boomers believe health care costs will consume 20% of their income, or less. But an annual report by the Insured Retirement Institute shows a healthy 66-year-old couple who retired in 2018 would need 48% of their lifetime Social Security benefits to address total lifetime health care and long-term care expenses. 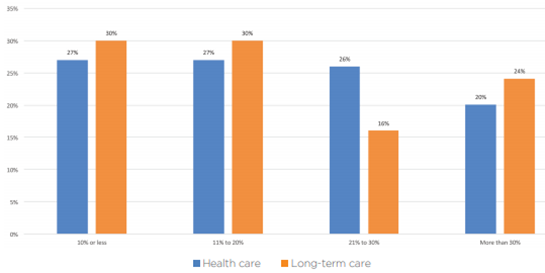 With nearly one-half of Social Security lost to health care, supplemental income or savings would need to be substantial for health care to be 20%, or less, of total income. 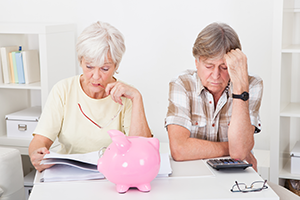 The number one reason Boomers calculating savings goals do not include health care and LTC costs is that they expect Medicare to cover them – an erroneous assumption on both counts, especially for LTC, for which Medicare provides no coverage. The second most common answer is simply that they are unsure of the costs involved and/or they don’t know how to calculate them – a powerful value-added service for insurance agents to provide. The chart above explores why annuity ownership is relatively low despite demonstrable income gaps. About as many boomers say they don’t have enough money to purchase an annuity as say they have no retirement savings, an unfortunate reality. However, it is more common for boomers to say they simply don’t know anything about annuities than to be biased against them, and this is an opportunity for the insured retirement industry and for financial advisors. Similarly, some of those who feel they don't think they'll live long enough for an annuity purchase to make sense may be overlooking the possibility that medical advances will result in them living longer than they expect, and that medically underwritten annuities may increase payments to the point where an annuity purchase becomes attractive. Baby boomers, particularly those who are younger and still working, face an urgent need to save more and create financial plans for retirement. Most will not have pensions, so it is imperative that they maximize Social Security, create guaranteed lifetime income from their savings, and employ insurance protection and financial management tools to mitigate the risk that health care and long-term care costs will erode their savings and income.